Jonathan Moyo exposes Strive Masiyiwa's Zanu-PF links? Exiled former G40 Kingpin and Robert Mugabe's spin doctor Professor Jonathan Moyo who had threatened to expose embattled telecoms guru Strive Masiyiwa of being a two-timer who played double standards between MDC and ZANU PF has released a series of exposés on the business mogul. "As a former government minister and a former Zanu PF election campaign manager, I'll tomorrow morning (Monday) do a thread with information exposing Strive Masiyiwa's two-timer dalliance with Zanu-PF and MDC when he purported to be anti-Zanu-PF and in support of human rights and democracy,"Moyo said. This comes after Strive Masiyiwa has been embroiled in a heated argument with Professor Moyo and other civil society officials who are accusing him of being sympathetic to Emmerson Mnangagwa. Below are tweets by exiled the spin doctor. 1/24 The self-righteous outburst by #StriveMasiyiwa, supported by his fellow bible-quoting juntapreneurs, in response to a polite & genuine concern by @dewamavhinga reveals he holds himself as an untouchable who is beyond criticism. Yet his closet is full of despicable skeletons! 2/24 #StriveMasiyiwa has escaped scrutiny, thanks to Zimbabwe's flawed public discourse which has never been about facts, truth or ideas but about "good guys" versus "bad guys"; presumed to be such by definition, not by deed. So Zimbabwe, sadly, has no culture of truth-telling! 3/24 When #StriveMasiyiwa was caught with his pants down after defending his wife's indefensible outburst, smearing some human rights groups; he responded with an outburst smearing @dewamavhinga, labelling him a bad guy, inciting @hrw to fire him, while posturing as Mr Good Guy! 4/24 Taking himself to be "the good guy of them all" & presuming his critics to be bad guys, #StriveMasiyiwa went berserk. For calling him out on his uncouth attack on @dewamavhinga, he smeared me with false & defamatory allegations, laced with epithets; best handled by lawyers! 5/24 The issue about #StriveMasiyiwa, as it is about anyone else, is not whether he's a good or bad guy but whether his deeds match his self-righteous claims. Is he the champion of human rights & democracy, that he claims to be? If he is, does that make him a God above criticism? 6/24 For the avoidance of doubt, it must be acknowledged upfront that #StriveMasiyiwa has supported worthy philanthropic initiatives in & outside Zimbabwe for the benefit of society. This commendable support should be appreciated in its own right, as an inherently good thing! 7/25 All things considered, #StriveMasiyiwa is a bundle of falsehoods: he lies about his feats & failures of others, with reckless abandon. He lies that Econet is the biggest employer in Zimbabwe when government is. Small businesses are also employing more & well, as a sector! 8/24 #StriveMasiywa's biggest lie is his claim that he's a champion of human rights & democracy. There's no known or respected institution in Zimbabwe dedicated to the promotion of human rights & democracy in the country created by or from #Masiyiwa's philanthropy. None! 9/25 #StriveMasiyiwa owned the #DailyNews, as a political investment to massage his political ambitions & not to promote democracy with a free & professional press. Edited by the ever reckless Geoff Nyarota, #Masiyiwa's #DailyNews distinguished itself by publishing falsehoods! 10/24 The difference between #Masiyiwa's #DailyNews run down by Nyarota & today's #DailyNews, is like that of day & night. The former was a political pamphlet & the latter is a newspaper. But this is a story for another time. Suffice to say #Masiyiwa is an enemy of press freedom! 11/24 Over the years, #StriveMasiyiwa & his fellow juntapreneurs have conflated the fight for democracy & human rights with their personal fights against former President Mugabe. For them, to be anti-Mugabe became synonymous with being a champion of human rights & democracy! 12/24 #StriveMasiyiwa's fight with Mugabe did not originate from any concerns he had about lack of democracy & human rights in Zimbabwe but hail from a contractual dispute over a shoddy job that #Masiyiwa's Retrofit company did at the former President's rural home in Zvimba! 13/24 Recently #StriveMasiyiwa declared that Mnangagwa is "sincere", signalling his support for the Harare junta. He capped this by calling for the removal of Zidera sanctions. #Masiyiwa is fully entitled to his views, as is anyone else. But his views invite public questions! 14/24 When #StriveMasiyiwa says Mnangagwa is sincere, is he himself sincere? And when he calls for the removal of sanctions, having been party to their imposition in 2001, is he sincere that their targetted objectives for democracy & human rights in Zimbabwe have been achieved? 15/25 Parenthetically, & given his loud claims that he has supported MDC in his self-proclaimed quest for democracy & human rights in Zimbabwe, which party did #StriveMasiyiwa support in the July 2018 elections? What explains his loud silence on the Army atrocities of 1 Aug 2018? 16/26 When & how did #StriveMayisiwa start working with Mnangagwa to know he is "sincere"? Is it from their Zambian days? Or their IBDC days? Or their 2008 runoff days? Or their 2013 election days or their 2018 election days? Or is it all these days plus some more in between? 17/24 As former President Mugabe's right hand man until the 2017 coup, Mnangagwa abused his closeness to Mugabe to groom a cohort of political & business cronies for his ambitions. He went about this in a tribal, regional & Zambian way. A key product of this group is #Masiyiwa! 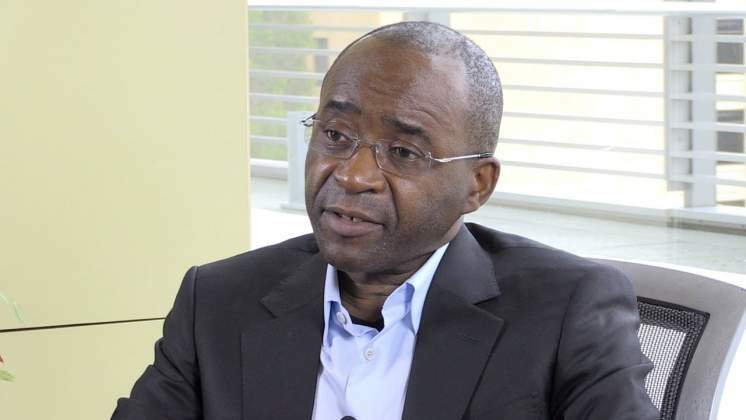 18/24 It's not by accident that #Econet was created by some up & coming businessmen around Mnangagwa, including #StriveMasiyiwa who later was alleged to have cheated the others out. While #Masiyiwa has supported the #MDC, his horse has always been a Mnangagwa led #ZanuPF faction! 19/24 That #StriveMasiyiwa did not support MDC's 2018 election campaign & that, after the stolen election he said Mnangagwa is "sincere"; testify to his longstanding support for Mnangagwa. In 2008, #Masiyiwa gave #ZanuPF USD45m to purchase grain used in the #Army-run runoff poll! 20/24 On the back of the 2008 runoff grain scheme, in 2013 Masiyiwa's #Econet joined Mbada Diamonds to give #ZanuPF some $60m to fund the organisation & conduct of the 2013 elections, outside treasury then run by @BitiTendai. Mnangagwa & Chinamasa were the instrumental hands! 21/24 In 2015 #StriveMasiyiwa's schemed with Patrick Chinamasa, then a staunch Mnangagwa ally, to get $30m from #Econet to pay salaries for civil servants through a dubious arrangement, whose backdrop was the longstanding relationship between #Masiyiwa and Mnangagwa! 22/24 The're many under cover dealings invloving #Masiyiwa & Mnangagwa's Army faction, since 2008 after a damning CIO report on #Econet, that almost got its license withdrwan only to be saved by monetary authorities, who cited many cases of #Masiyiwa's cooperation with #ZanuPF! 23/24 #StriveMasiyiwa claims to be a champion of press freedom & supports this with reference to his ownership of the #DailyNews. But his relationship with the press is terribly bad. In 2015 his #Econet connived with the Police to raid & ransack @TheSourceZW offices & computers! 24/24 As a bondnote billionaire, #StriveMasiyiwa fancies himself as a big fish. But he's in a small pond. Hard currency millionaires in bigger ponds with lots of big fish don't behave like him. It's time the other founders of #Econet got the justice they have been long denied!